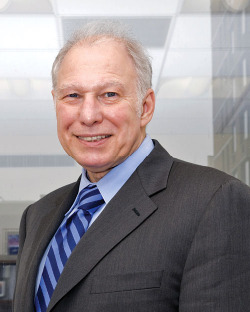 Barry Reisberg serves as Professor of Psychiatry at NYU. He was the first to describe many of the most important symptoms of AD and the characteristic clinical course of the disease. His staging tools are presently governmentally mandated measures throughout the U.S., in some Canadian and European provinces, and recommended in Japan. Dr. Reisberg is the Director of the Zachary and Elizabeth M. Fisher Alzheimer’s Disease Education and Resources Program at the NYU School of Medicine. Additionally, Dr. Reisberg is an Adjunct Professor at the McGill University Faculty of Medicine in Montreal, Canada. Dr. Barry Reisberg was awarded a Lifetime Achievement Award for Outstanding Research by the International Conferences on Alzheimer’s Disease (ICAD) and by the Alzheimer’s Association. He is author of the Clinical Stages of Alzheimer’s, and defined the term Mild Cognitive Impairment. He helps his patients regain basic skills of living to prolong their independence, and ease the burden of caregivers.